‘The Coal Capital of India’. There is much more to Dhanbad than what you know through Gangs of Wasseypur. Industrial development of Dhanbad boosted rapidly post-Independence. 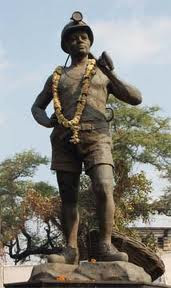 Best known for its coal reserve and urbanization, Dhanbad has India’s largest coal mines and colliery. It witnessed a very rapid growth in its infrastructure and industrial developments. Almost entire economy of Dhanbad is based in the business through coal. Considered as one of the busiest commercial hub of eastern India and probably the most famous industrial city of Jharkhand, Dhanbad has seen its fair share of changes over the period of time. During early 20th Century, the mines were legally put on lease. Getting official lease, some illegal mining was controlled but was still in practice. Thereafter other places were also put on lease by the British. The earning made by the party taken the lease, was shared by the British. They took substantial amount of share from the profit, and rest were given to the leasee. The condition of workers worked there were unimaginable. After Independence, the newly formed Government of India clearly showed that their intentions were similar as of British but they will use the revenue generated for the betterment of the people. All the previous leases were cancelled and a fresh tender was out. Whichever party bid the highest, will take full control over the mines and a certain amount for truckload was to be paid to the government. After several years of making consecutive loss, government took the initiative to change this system. Now, no private party is allowed to do the mining. All the private parties were restricted for the transport service only. The coal excavated from the mines were loaded on trucks and moved to the destination. In this way, the revenue generated by the government was far more than earlier. The transportation of coal is basically done by individual private parties who put their truck for the use of transportation. Now, only the public-sector units (PSUs) were given the lease to the coal mines. This decision made the condition in which workers works way much better than during privatization. There are certain rules and parameters defined as the working conditions, which must be followed at all cost. Even slightest relaxation or mistakes on that parameters may result in loss of lives. After division from Bihar in the year of 2000, the income and production both went up drastically. 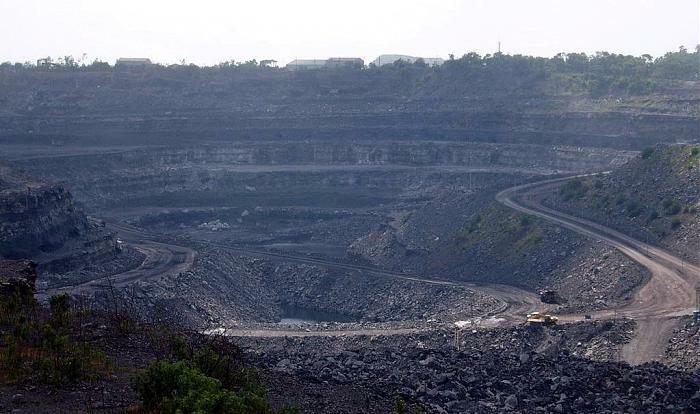 Dhanbad has nearly 110 coal mines in total. They collectively produce around 7000Million Rupees. These coal mines produce nearly 25 Million tons of coal. Not only production of coal, but the availability of coal in the region also forced the authorities to look into other ways to utilize the power of coal. Investors and other public sector companies realized the opportunities and took the initiative for new establishments. Dhanbad is also known for its Power generation and is one of the most important in the state. Both hydro and thermal power is used for the electricity production. The geographical condition also permits this, as the rivers of Damodar has biggest reservoir in Maithon dam, and power generation is done by Damodar Valley Corporation (DVC). It is obvious that where there are coal mines, there ought to be presence of Methane gas. Oil and Natural Gas Corporation (ONGC) has set up their machinery to harvest the Coal Bedded Methane (CBM) to harvest compressed natural gas. The geographical location of Dhanbad also helped it to boost up economy. It may be called as gateway to Kolkata for the rest of Jharkhand. Kolkata and Dhanbad witness heavy traffic between them, both roadway and railways. The coal excavated is transported via trucks as well as trains. The coking coal produced is shipped to as far as Australia. Truckloads of coal is moved daily, weighing tons. Goods and services are followed by them. IIT (ISM), BIT, DAV, etc. In recent years coaching institutes found a new hub. At places, several private coaching institutes can be seen. Apart from coal though, Pisciculture, Sericulture and Agriculture are most popular self-employment among the people. The presence of river Damodar boosted the involvement of people in pisciculture. Significant amount of people are involved in transport sector. Be it transport services for coal through trucks or passenger services through buses and autos. Movers and packers in Dhanbad are earning their fair share of profit by providing their services to and from major cities like Kolkata, Bhubaneshwar, Jamshedpur, Varanasi, etc. Even when the coal is carried via the rail route for the long distances, the journey from mines to the railway depots are made by the trucks only. Hence, the people think it wise to invest in the trucking sectors to transport coals as well as other goods and services to the market if time and situation permits. With the ever-rising standard of living and digitalization, the services must cope up the changes. The people now want everything to be accounted for, and fast services. By virtue of e commerce companies, presence of logistic companies and logistic services are also considered as growing sectors. Very soon, the transport services used in the mines tend to go online. By online booking of trucks, the level of discrepancy will fall and the system will become more transparent. Dhanbad has potential and resources to make its mark in international level. It can even do so if the rate of development is increased a bit. With the increasing factories and population, the mechanism is sufficient to cope up with it. But there is hope and it is very strong, at times, the city has seen drastic change in working ethics and will see some in future as well. No Comment to " Dhanbad- Industrial Development Post Independence "